VIVA, an Indian mobile start-up launched the cheapest mobile phone, VIVA V1 in India. The VIVA V1 holds the privilege of being the first mobile phone to be launched by VIVA. 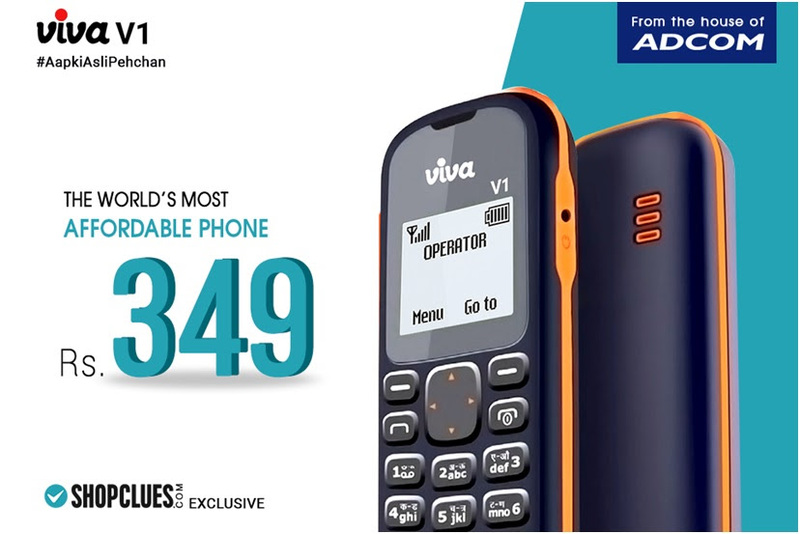 It is available at an unbelievable price point of Rs.349 exclusively on Shopclues website, thus fulfilling VIVA’s vision which is to provide the latest technology to the Indian mobile users at an affordable price.